What Kinds of Casual Shoes Can Be Worn With Women's Bootcut Jeans? Layer blue and white food coloring to make buttercream icing look like denim. 3 What Kinds of Casual Shoes Can Be Worn With Women's Bootcut Jeans? It is not enough to simply spread blue buttercream icing on a cake to give it the look of denim. 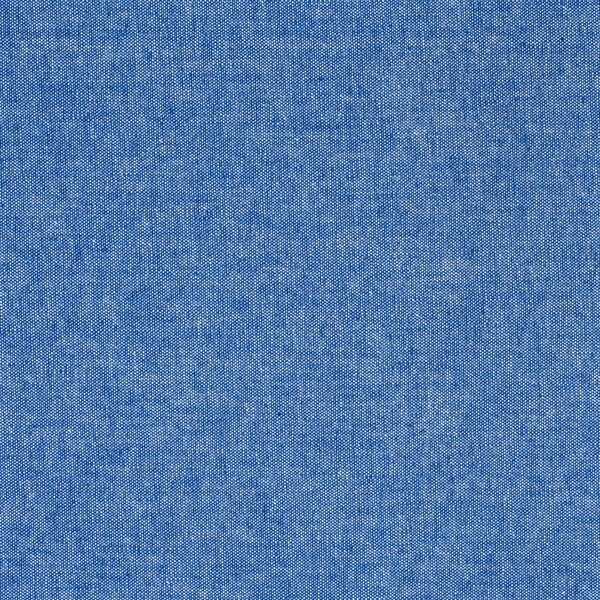 Actual denim is woven of indigo warp yarns going the long way and white weft yarns going crossways. You can achieve the look of this fabric through sponge painting and brushing -- techniques that require a delicate hand when working with buttercream icing. Most important, you must use a crusting buttercream icing that hardens on the outside after frosting the cake, otherwise the sponge and brush will simply smear the base layer of frosting. Prepare buttercream icing for the cake, substituting vegetable shortening for half or all of the butter in the recipe. A simple buttercream icing requires roughly 1 cup of butter for every 4 cups of powdered sugar, plus 1 to 2 tablespoons of milk to make the icing smooth, and vanilla extract to taste. Instead of using 1 cup of butter, use 1/2 cup to 1 cup of vegetable shortening so the icing forms a hard crust that can be painted with food coloring. Divide the icing between two bowls for two different colors: royal blue and white. Add blue food coloring gel to color the icing medium royal blue. Dip a toothpick in the gel and swirl it in the icing. Mix thoroughly to incorporate the food coloring, adding more food coloring as needed to achieve a uniform color. You'll need slightly more royal blue icing than white icing. Apply a thin coat of white icing to the cake to seal in any crumbs. Spread the frosting evenly with an offset spatula. Allow the frosting to set and harden for about 20 minutes. Cover the white crumb coat icing with a generous layer of royal blue icing. Spread the icing as smooth as possible with the offset spatula. If the icing seizes up and won't spread smooth, dip the spatula in a cup of hot water, wipe the spatula dry and spread it smooth with the hot blade. The hot blade softens the shortening and sugar in the frosting so it spreads easily. Place the cake in the refrigerator, uncovered, for a minimum of 30 minutes or until a hard outer crust develops. Remove it from the refrigerator and set it on a flat work surface. Lay a non-textured paper towel over the frosting and rub the back side with your hand to smooth out any remaining ridges in the frosting. Add white food coloring gel and navy blue food coloring gel to separate bowls. Thin out the food coloring gel with lemon extract or clear alcohol, such as vodka. Thin the colors with roughly equal parts liquid to food coloring gel, such as 3 drops of food coloring to 3 drops lemon extract or alcohol. Add a bit of black to navy blue food coloring if you want to look of extra dark blue denim. This makes the food coloring thin enough for painting. The alcohol and lemon extract evaporate, leaving only the color behind. Dip a clean craft sponge in the white food coloring mixture. Squeeze out the excess so the sponge is damp, but not wet. Dab the sponge gently over the crusted cake. Touch the sponge against the cake but don't push in, because this can push through the crusted layer. Don't cover the entire cake with white, but instead, limit it to about 50 percent coverage distributed evenly over the cake. Work in small areas so the liquid doesn't dry too quickly. Drag a dry artist's paintbrush through the freshly applied white food coloring paint to create vertical and diagonal lines just as you would commonly see in denim. A fan-shaped brush with stiff bristles works well, but any small, stiff-bristled brush works well. The alcohol and extract evaporate fairly quickly, so dab a small area with the sponge and brush over it to create lines before applying more white to another small area. The finished white coloring is subtle -- the royal blue coloring should still be visible through the white. Dab the navy blue food coloring mixture on the cake after the white dries. Drag the dark blue color with a dry paintbrush to create vertical and diagonal lines. Work in a small area at a time, eventually covering the entire cake with the navy blue color. The royal blue and white color shows through the navy blue color. Allow the navy blue food coloring mixture to dry completely. Apply a second layer of the navy blue food coloring mixture over the entire cake. Spread the color in lines with the paintbrush. Allow the second application to dry. Add a third application of the navy blue food coloring, if desired. The number of coats depends on how dark you want the finished denim cake to look. A new pair of denim jeans, for example, will be fairly dark. That same pair of jeans will fade, showing more of the light blues and white in the stitching with frequent wear. Dilute white or yellow-gold food coloring gel with lemon extract or vodka, this time using only half as much liquid as the amount of coloring gel. Paint stitch lines along the edges of the cake with this food coloring mixture, using a fine-tipped paintbrush. The stitch lines are essentially a series of dashes that resemble the real stitches along seams in denim clothing. This step is optional. A natural sea sponge sold with crafting supplies works well for sponge painting a cake. Similarly, look for paintbrushes where art supplies are sold instead of using the limited array of brushes sold with cake decorating supplies. Label the sponge and brushes, reserving them only for use with cake decorating.